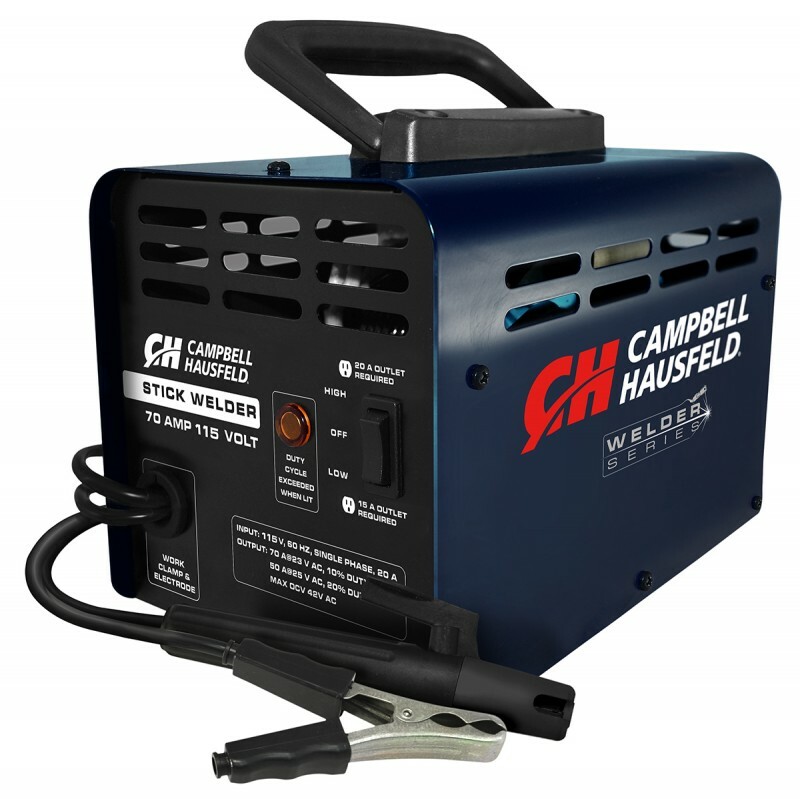 The Campbell Hausfeld 115-volt stick welder (WS099001AV) is designed for home and shop applications. 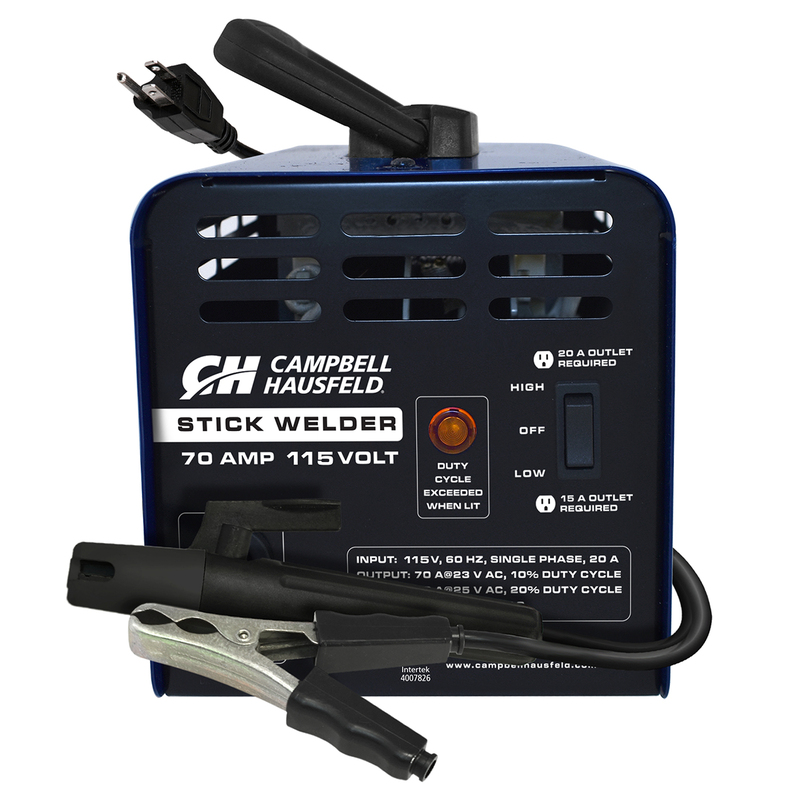 Easy to use and portable, this welder has a transformer design that provides an easy-starting, smooth arc. Weld with 1/16-inch electrodes on a 15-amp household circuit; a 20-amp circuit is required for welding with 5/64-inch electrodes. Thermal overload protection activates automatically to avoid overheating. 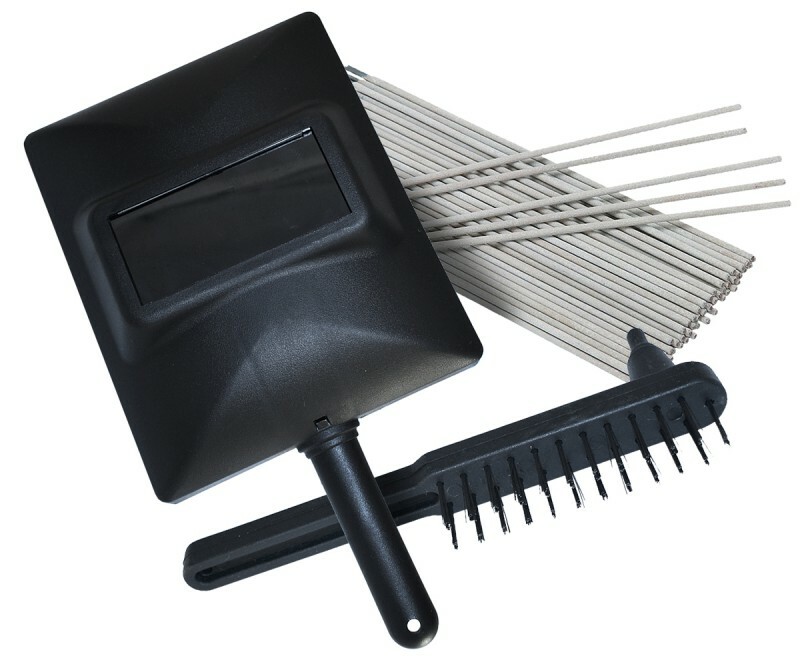 Includes hammer/brush, starter pack of electrodes and hand shield. Duty cycle: 20% @ 50A, 10% @ 70A. 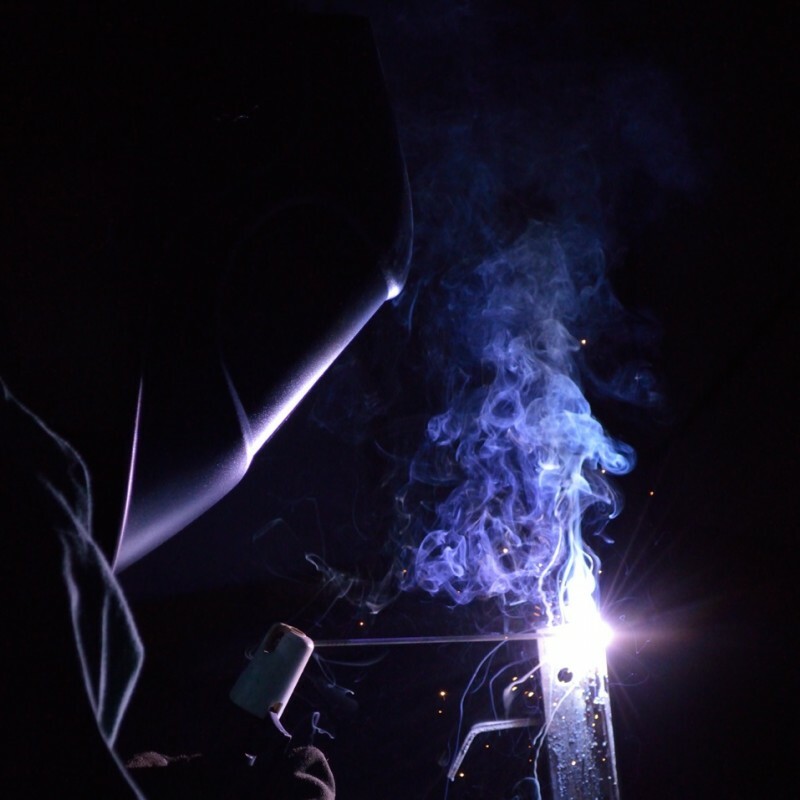 Weld and ground cable length: 6 feet.